September is considered as the Suicide Prevention Month, and September 10th is recognized as the World Suicide Prevention Day. With this in mind, different institutions across the country aim to raise awareness on suicide prenvention, improve education on the subject and lower the stigmatization about the topic. According to a recent survey, nearly 90% of Americans value mental and physical health equally. However, one-third of them claim that mental care is inaccessible, and over a fourth in ten consider costs as an impediment to obtain treatment. The report was brought by three different mental health and suicide prevention groups of Harris Poll, namely: the Anxiety and Depression Association of America (ADAA), the American Foundation for Suicide Prevention (AFSP) and the National Action Alliance for Suicide Prevention (Action Alliance). Desperate woman trying to kill herself with firearm. The research showed that 47% of Americans consider they have or have had a mental health condition, but less than two in five (38%) have received treatment. Moreover, the study revealed that while 86% of Americans understand that conditions such as depression are risk factors for suicide, more than half of them (53%) didn’t know that anxiety and panic disorders are also considered suicide-risk factors. The online survey, carried out in August, interviewed 2,000 US adults on their perception and understandings about mental health and suicide. The most distinguished results were: 94% of American adults think sometimes suicide is preventable and 55% confirmed that they have been affected by suicide in some way. Furthermore, 93% of American adults would do something to prevent suicide on someone close to them and 67% said they would tell someone if they have suicidal thoughts. However, women are more likely to admit they have or had have contemplated suicide, than men. Finally, the study showed that from the population who receive or have received treatment for any mental condition: 82% said the best treatment was in-person psychotherapy; 75% voted for prescription medication, or another form of treatment. * Adults from ages 54 and younger are more likely to have received any kind of treatment that those who are 55 or older. * Adults from ages 18 to 34 consider it is a sign of strength to seek treatment, compared to older population. They are also more likely to believe that suicide can be prevented. * Women are more likely to receive mental health aid than men. They are also more likely than men to announce they are experiencing anxiety and depressive disorder, while men are more likely to report substance related conditions than women. According to the World Health Organization (WHO) more than 800,000 people commit suicide every year. For every suicide, there are many others who attempted suicide annually. 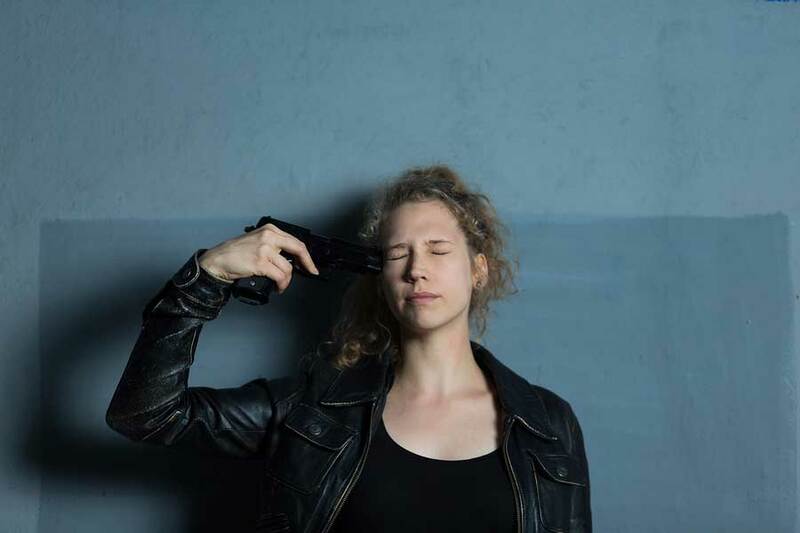 Moreover, suicide is the second leading cause of death among people between 15 to 20 years old, and the most common methods of suicide globally include ingestion of pesticide, hanging and firearms use.